2019 Information resource for home buyers and home building companies in Perth Western Australia. With demand for new home building businesses in Perth easing, now is the time to select the best value, on time, new home builders in Perth. If you would like us to have a new home builder in Perth contact you, please complete Perth's new home building form below. Many of the big building companies in Perth have in-house who've developed a set of building plans you can choose from and modify. The advantages of an independent architects are you'll get unique new home designs and they can, as can builder brokers, go into bat for you when your builder doen't deliver the new home you paid for. The Western Australian government has an online database of registered builders in Perth you can search. Alternatively you can search for a home builder in Perth near your location by zooming in on the map of Perth builders above. It's always wise to check the builder's registration credentials of the new home builder you choose. When you see a building company's headline price advertised ask: is that a house and land package or for building a new house only? New home owners grants in Perth are available for building NEW homes in Perth if it's your first time to get this government subsidy. Are you the builder getting a fee or commission from the home loan provider? What is the fixed or variable interest rate? What is the principle and term of the loan? At today's interest rate, what senarios have you got for monthly repayments over what length term of the home loan? When the variable rate goes up too much what loan contract exit penalties are there? Besides your Perth home builder acting as a finance broker, before signing any home building contracts, you should also get independent advice from either friends/family, websites such as CANSTAR or independent fiance brokers. If your home loan deposit isn't big enough, you'll be forced to take out insurance. This protects lenders against things like builders going broke before finishing building of your home. Buying land in Perth to build on requires a lot of red tape and understanding of the legalees/jargon used by conveyancing compaines. 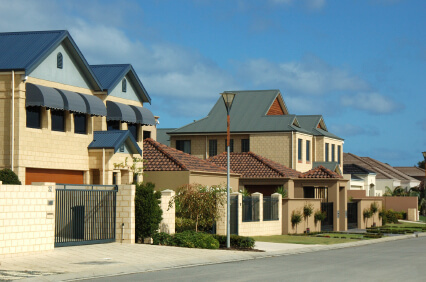 Settlement agents in Perth do the admin work between property sellers/buyer offer and acceptance contracts/Government's "Landgate" and possibly strata management companies. Content marketing. For example $90 production of a set of twenty, 3D, 360 degree VR photos of each home you've built to put in the hands of your social media marketer and or a short 360 degree, VR video of homes in Perth your building company have built. Buying the www.builderperth.com domain name for $4,000 or leasing it @ $1,000 per year. Embedding your Perth building company VR video ad on this web page. If your Perth building company doesn't have a promotional video yet, we can produce a video of homes your company has built. (My amataure channels has had over 2,000,000 views.) Example video marketing above. Link your Perth new home building company website from this web page. Free linked pin on the Map of Perth. Investing in having a new home built off the plan in Perth has its risks such as the builder going bust after receiving payment and not completing your building project. However the rewards of getting a brand new home with all the latest modern features is an outcome. It's quite popular when having a builder, build an appartment in Perth. See New Apartment Sales Perth for ideas and connections. One of the drivers of the price of new housing projects is the amount of land released to Property Developers in Perth and the deal they do with the Western Australian Government for the development of land with infrastructure such as roads, water, power, schools etc. After an estate has been developed, property developers will invite Perth building companies to build and joint venture promote the sale of new houses in the estate. Perth builders will get as many pre-sales as possible. Failing that, they'll build a new home and then sell it. Driving around a new building estate to see the new homes builders have constructed there is popular with Perth home buyers. Drive to the estate office which is usually open 7 days a week and ask to see open homes. In Australia risk management for construction emerged in 1999 based on techniques developed by Standards Australia, an independent nonprofit considered the country’s leading nongovernmental standard-setting body. Buildings began being inspected by local councils, and risk assessments by those councils determined the number of inspections needed, with standards varying by council. But the 2005 Building Professionals Act allowed for accreditation and regulation of private inspectors. By opening to the private sector, Australia introduced competition to a system that had primarily been the responsibility of local councils. Furthermore, in 2005 Australia amended its Building Code to introduce a risk-based categorization system for buildings that inspectors had to follow. In addition, in 2010 changes were made to the Building Professionals Board, which had been the sole body authorized to accredit private inspectors, regulate the profession and enforce disciplinary and legal actions against private inspectors. Now principal certifying authorities can accredit professionals from various backgrounds including: architects, engineers, planners and building and land surveyors to serve as inspectors. In addition, the board became responsible for accrediting, regulating and enforcing actions against certified inspectors. As a result, principal certifying authorities can retain both private and council inspectors, who report back during and after construction. By law, principal certifying authorities must be designated to conduct the mandatory inspections at the critical stages (stipulated in the Environmental Planning and Assessment Act), manage inspections and decide if additional inspections are needed based on a building's risk level. The principal certifying authority must also issue the certificate of construction (a mandatory certificate that must be obtained prior to the commencement of construction works) and certify the safety of the building upon completion of construction. The principal certifying authority is held liable if any issues arise related to the building construction. However, inspectors must obtain an annual professional insurance up to a minimum of A$1,000,000 in order to be retained in their position. Builders choice in Perth for quick mobile crane hire. Perth HOME of this website. Roofing Company Perth for new roofs in Perth or urgent re-roofing after Perth storm damage. Retirement Village Perth. Homes for older Perthites. Find a "Real Estate Agent in Perth near me"
Hotels Perth for short term accommodation while you're waiting to move into your new home. WA Government First Home Owners Grant application and information. Search WA Government for home buying/building assistance information. Perth Balustrades beautiful hand rails in your home. Building workers union collective for workers who build houses in Perth WA.